There’s definitely a special bond between a godmother or godfather and their godchild, and when there are celebrities involved it’s just that much better. Godparents typically take on the role of advice-giver, for all those things you don’t want to talk about with mom and dad, but need an adult perspective on. Now imagine the kind of perspective you could get from someone like Dean Martin or Aretha Franklin! And of course, godparents are there for the fun stuff too, so with an A-lister looking out for you, the options are endless. Read on for the most unbelievable celeb godparents/godkids duos! Cara Delevingne couldn’t be luckier. Why couldn’t our parents be lifelong friends with the legendary Dame Joan Collins — then maybe she’d be our glam godmother too. Collins has said that Cara was “an amazing child” and we’re pretty sure it’s thanks to the influence of the iconic actress. What’s better than one over-the-top singing sensation? How about two! Billy Ray Cyrus must be a bit of a fortune teller, because naming the Queen of Country herself, Dolly Parton as godmother to his bouncing baby girl Destiny “Smiley” Cyrus (“Smiley” became Miley, for those who aren’t in the know) was a match made in music heaven. Country music legend Dolly Parton is the fairy music godmother to the pop princess, showing Miley how to be unapologetically herself on stage and in her music. The two have dueted a few times, and if you’ve never seen them perform Parton’s iconic “Jolene” together, you are seriously missing out. We know all about sibling rivalries, but we wonder, is there such a thing as goddaughter rivalries? 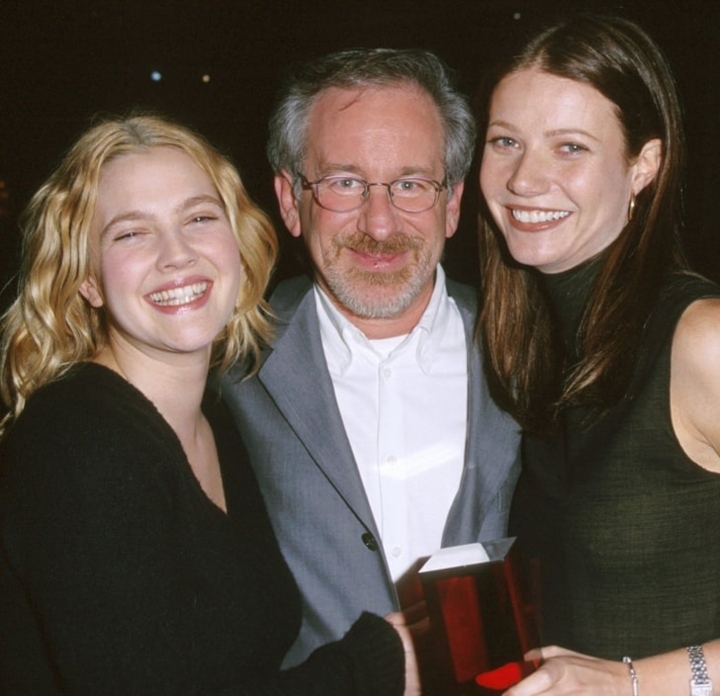 Steven Spielberg was given the honor of acting as godfather to both Drew Barrymore and Gwyneth Paltrow, so do the actresses fight over the famed director’s attentions? 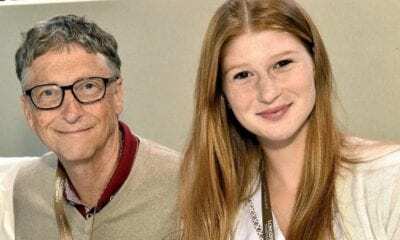 They both come from famous acting families, and grew up in the spotlight, so it wouldn’t be surprising to learn that there was some godsister cattiness going on. But nope, there’s nothing but love between Barrymore and Paltrow. Perhaps it’s a testament to Spielberg’s godfather prowess that the two actresses and health and wellness advocates turned out so well. Arguably the best relationship on Friends was the one between Rachel Green and Monica Geller (don’t anyone dare and try to say it was Ross and Rachel), and it looks like there wasn’t all that much acting involved. 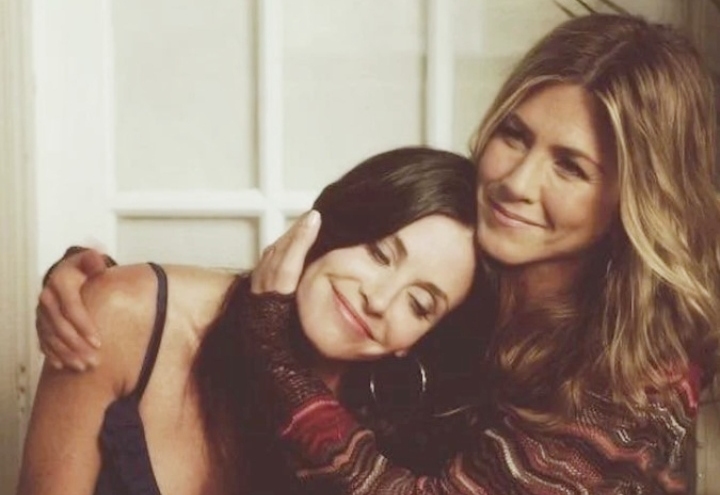 In case you’ve been living under a rock, Jennifer Aniston and Courteney Cox are real-life best friends too. Courteney, or Court as Aniston calls her, didn’t think twice before naming her best gal pal Jen the godmother to daughter Coco. With Jennifer Aniston around to give her advice, Coco will be a master of Aniston’s trademark cool girl California style. And of course, she’ll never have a bad haircut in her life. By now we all know that Drew Barrymore comes from an Old Hollywood acting dynasty, but we’re willing to bet you didn’t know that she’s got legendary silver screen actress Sophia Loren as a godmother. Barrymore, who started acting at a young age, was able to spend time with the Italian actress every summer. Barrymore would spend her summers running around and being a regular kid right along with Loren’s two sons Edoardo and Carlo, on Loren’s ranch outside of Los Angeles. With no daughters of her own, we bet Loren just loved doting on the young E.T. star. And in return, Barrymore has long called Loren her role model in every way. Nicole Richie is music royalty as daughter to Lionel Richie. Adopted at the age of three by Richie and his wife Brenda Harvey, the “Hello” hitmaker turned to his close sometime-songwriting collaborator Michael Jackson to take on godfather duties to his new daughter Nicole. Nicole remembers the King of Pop as “Uncle Michael,” for her, his sparkly jackets and pet chimpanzee weren’t all that out of the ordinary. “From what I remember it was pretty normal for me.” Well, she’d also grown up calling Prince “Uncle Prince,” so with Prince and Michael Jackson as frequent houseguests, we wonder what would register as eccentric for Nicole Richie. Normally it’s the godparents who give out guidance, but now that he’s all grown up, Jake Gyllenhaal was the one who recently doled out the advice to godmother Jamie Lee Curtis. Curtis says it was Jake who found her on vacation in the mountains, and convinced her to come back for the 2018 reboot of Halloween. What’s goes around comes around. And as for his famous godfather? Gyllenhaal had iconic actor, director, producer, salad dressing genius (everyone agrees all things Newman’s Own are excellent), and race car driver Paul Newman to offer up all his wisdom. Newman taught Gyllenhaal how to drive, and if that’s not the coolest teenaged memory he has, we can’t imagine what could top it. Remember when Lady Gaga wore a dress made out of meat? Now we want you to imagine what it must be like to have her as a godmother. 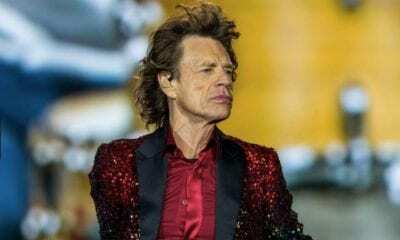 The pop sensation is godmother to Elton John’s two sons with David Furnish, and according to John, she’s as incredible a godmother as she is on stage. 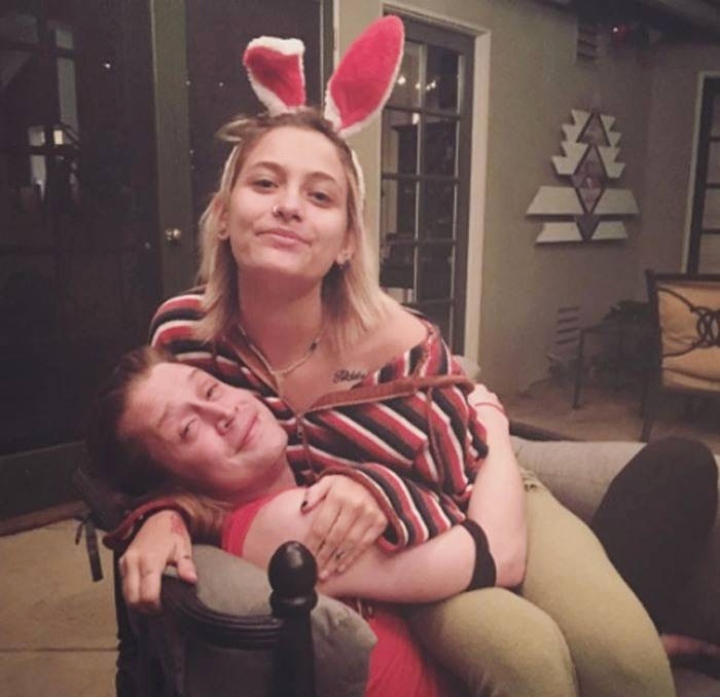 Macaulay Culkin stepped out of the limelight at a young age, retiring from acting entirely at fourteen years old, but he’d take on one more role after that — godfather to his good friend Michael Jackson’s daughter Paris. And in the aftermath of Michael Jackson’s passing, Culkin has certainly stepped up. 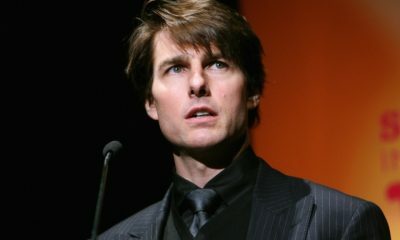 When tasked with choosing a godfather for their first two sons, British celebrity royalty David and Victoria Beckham had a whole star studded stable of famous friends to choose from, but “Uncle Elton” won out in the end. 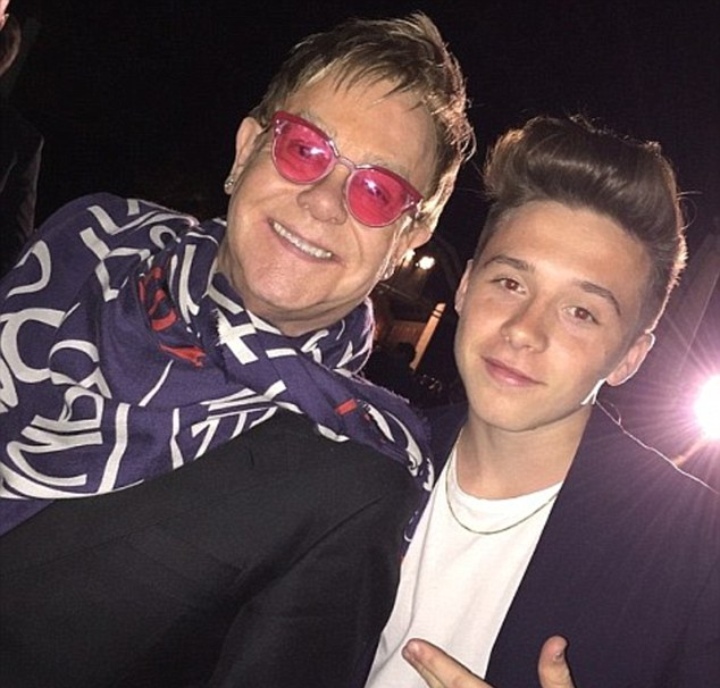 And according to the Beckham boys, Elton is as fabulous a godfather as he is musician. As an iconic singer-songwriter, who was knighted by the Queen no less, Elton John is certainly a busy man, but he will always make time for his two godsons, and never misses the big moments. 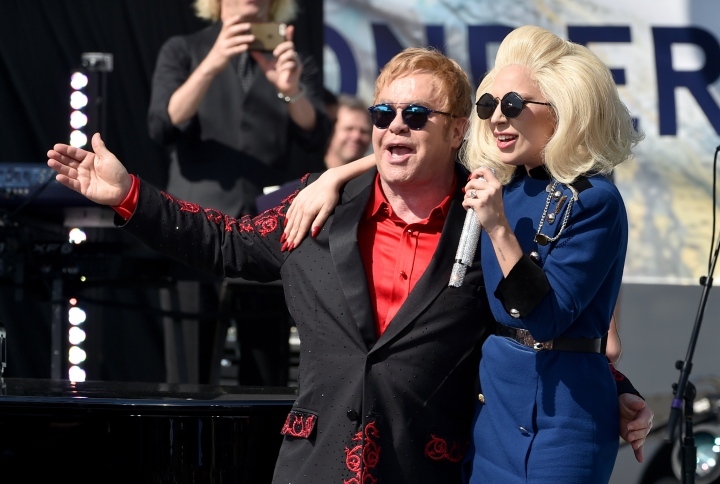 We wonder what kind of outrageous costumes Elton wears when he sings one of the Beckham boys Happy Birthday. After Lisa Bonet starred on the 80s sitcom A Different World with Marisa Tomei, a friendship was formed that has since spanned decades. Upon the birth of Bonet’s only daughter with Lenny Kravitz, the pair knew Marisa Tomei was the perfect person to serve as godmother to Zoe. Zoe has grown out of her parents’ shadows and into the spotlight all on her own, and she credits the strong women she grew up around, like Tomei, with helping guide her in the exciting direction her life and career are moving toward. Now that Zoe’s growing up, the two have turned into friends on their own, sharing beauty secrets and swapping stories from their respective movie sets. With legendary diva, Patti LaBelle, as a godmother, it’s as though Mariah Carey was destined to be a diva herself. We wonder if a young Mariah ever took singing lessons from LaBelle as a little girl — it would certainly make sense given the two share some seriously impressive vocal chops. There are amiable exes and then there’s Hugh Grant and Elizabeth Hurley. These two put everyone else to shame, when after 13 years of dating, they split yet stayed super present in one another’s lives, living around the corner from each other and talking on the phone almost every day. 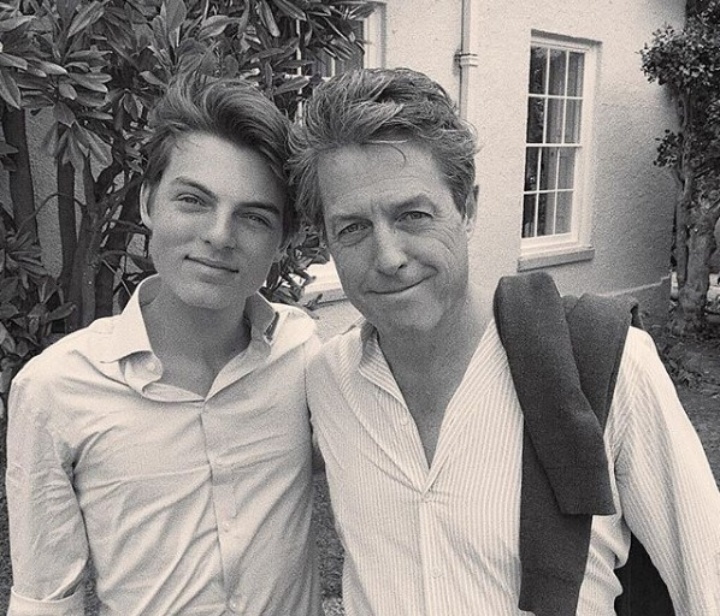 For Elizabeth Hurley it was a no-brainer that Hugh would be godfather to her only son Damian. According to the actress, “Hugh adores him and it works very well indeed.” Grant has brought his godson along to a few of his film premieres, although only the child friendly ones, because that’s what a responsible godfather does. The Beckhams gifted the world three mini Davids in the form of sons Brooklyn, Romeo and Cruz, so when they finally had their little girl Harper Seven, they had to find the perfect person to act as godmother to their princess. And Victoria knew exactly who to call. Victoria turned to longtime bestie Eva Longoria to be godmother to Harper. Between her mother and godmother, Harper is set to be one seriously chic little girl. We wish we could raid Eva Longoria’s and Victoria Beckham’s closets like Harper certainly will when she gets older. With a little boy of her own, we’d bet Longoria loves getting up to all things girly with her goddaughter. Johnny Depp has collaborated with one-time power couple Tim Burton and Helena Bonham Carter on so many movies it’s hard to count – but Depp was cast in one of his most important roles when he was asked to be godfather to the couple’s two kids Billy Ray and Nell. 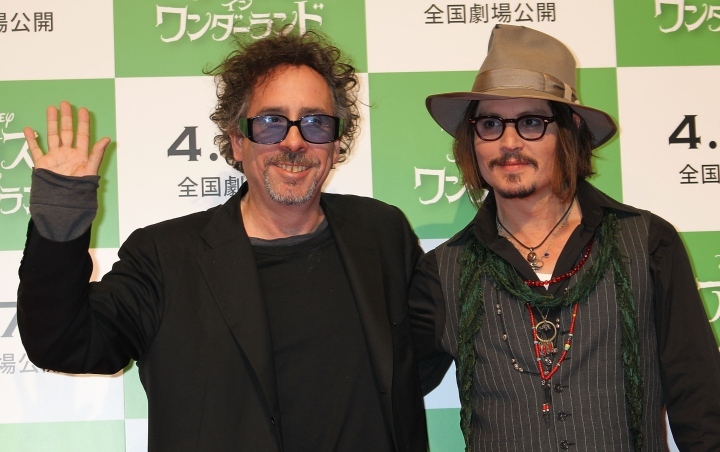 Reportedly, Tim Burton, was so nervous to ask his buddy Depp to be godfather he had his wife Helena do the honors. How much fun must it be to have Johnny Depp swing by in full Jack Sparrow mode at your birthday parties growing up! We have no idea if that’s the way Depp godfathers the kids, but it’s how we imagine it goes down. Taylor Swift famously has an extensive girl squad of models, actresses, and fellow musicians, so we have to assume she makes for a really good gal pal. Swift certainly stepped up for squad member Jaime King when King asked if the country-pop princess would be godmother to her son Leo Thames. Swift can give a young Leo guitar lessons and maybe even teach him how to croon a sweet country tune – we’re sure he’ll have all the girls swooning. Known for her love of crafting and baking, Swift probably spoils little Leo with loads of thoughtful handmade gifts and homemade goodies. Before Heath Ledger passed away, he called on good friend and Brokeback Mountain co-star Jake Gyllenhaal to be godfather to his daughter with actress Michelle Williams, Matilda. Matilda lives with her mom Michelle in Brooklyn, and with Jake just a subway ride away, he’s always around for his goddaughter. Can we all agree that mid-90s Drew Barrymore looks like the most fun? She had a fun and funky pixie cut and dated one of the band members from Hole, Eric Erlandson. Drew and Eric wouldn’t last, but her friendship with Hole lead singer Courtney Love did. Back in their wild child days, Courtney and Drew frolicking around Hollywood, having a grand ol’ time. Courtney went on to name Drew godmother to her daughter with Nirvana frontman Kurt Cobain, Frances Bean. Naturally, when free-spirit Drew spur-of-the-moment married comedian Tom Green, Frances Bean was the rock royalty flower girl straight out of our wildest fever dream. Two legendary divas. Two incredible voices. A match made in fairy godmother heaven. 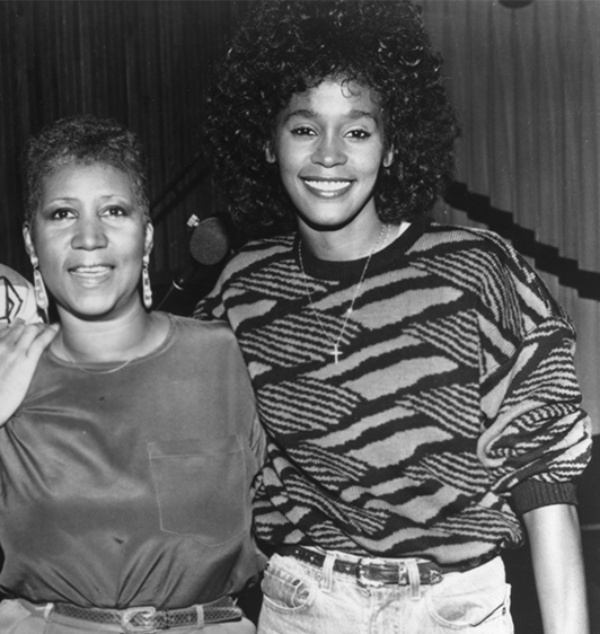 The Queen of Soul Aretha Franklin was maybe the only person that could have been a relatable role model for a young Whitney Houston. And eventually, as equally legendary singers, godmother and goddaughter gave us the duet of our dreams. If this one has you scratching your head in confusion, allow us to explain. Brad Pitt and Bono had met at a party, and apparently hit it off right away. Later, as neighbors along the French Riviera, Bono and the former power couple spent a lot of time over at each other’s chateaus, as you do when you’re at the top of every A-list. 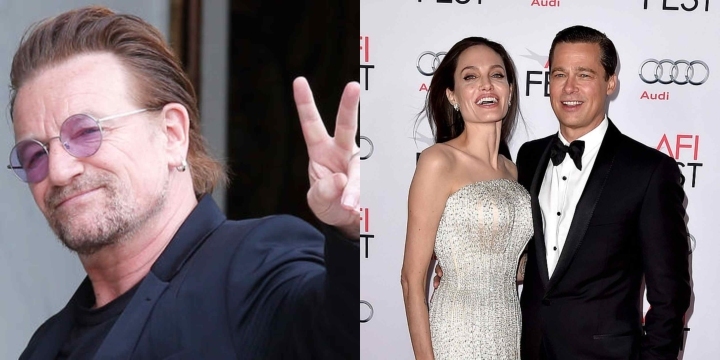 Angelina Jolie admires the U2 frontman’s humanitarian work, a quality she is sure to want her twins Knox and Vivienne to have too. And so, asking Bono if he’d be their kids’ godfather is actually not as strange as it seems at first. Calling on Charlie’s Angels to assemble! 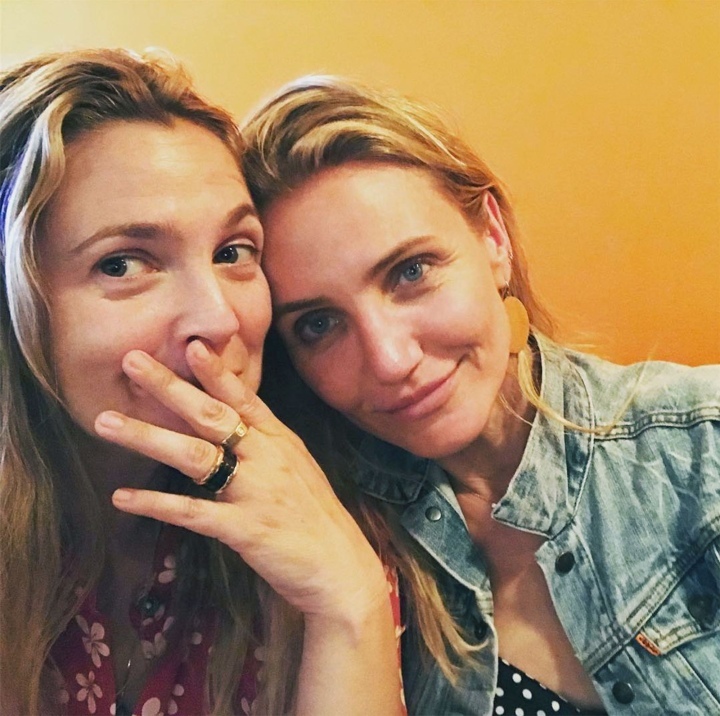 After starring together in the Charlie’s Angels movies in the early 2000s, Cameron Diaz and Drew Barrymore found a friend for life. The two veteran actresses have been by each other’s side through thick and thin, and there was no question in Barrymore’s mind that Cameron would be godmother to her daughter Frankie. Barrymore gushed about Diaz in an interview saying, “We’re like more than best friends, she’s my sister.” So although her formal title may be godmother, Diaz is a lot more like an aunt to Drew’s daughters. If Cameron ever re-enacts Charlie’s Angels with little Frankie, can we come too? As far as Hollywood best friendships go, you’d be hard pressed to find two people closer than Jennifer Lopez and Leah Remini. The two were introduced in 2004 by JLo’s ex-husband and father of her twins Max and Emme, Marc Anthony. As soon as the two met it was obvious to them both that they’d found their soul sister. JLo explained, “It was one of those instant chemistry things where you just feel like, ‘I love this person. I love being around this person….She’s cool and we also have very similar upbringings.” It’s that kindred spirit that Lopez is hoping Remini will pass along as godmother to Max and Emme. Jennifer Garner made one seriously exceptional friend on the set of Alias, in co-star Victor Garber – the star actually married Garner and her then-husband Ben Affleck in a private ceremony in 2005. A few months later when Violet Affleck was born, Garber was on hand once again, this time to take on godfather duties. From playing her on-screen father, to her daughter’s actual godfather, Garber and Garner’s friendship is still as strong as ever. 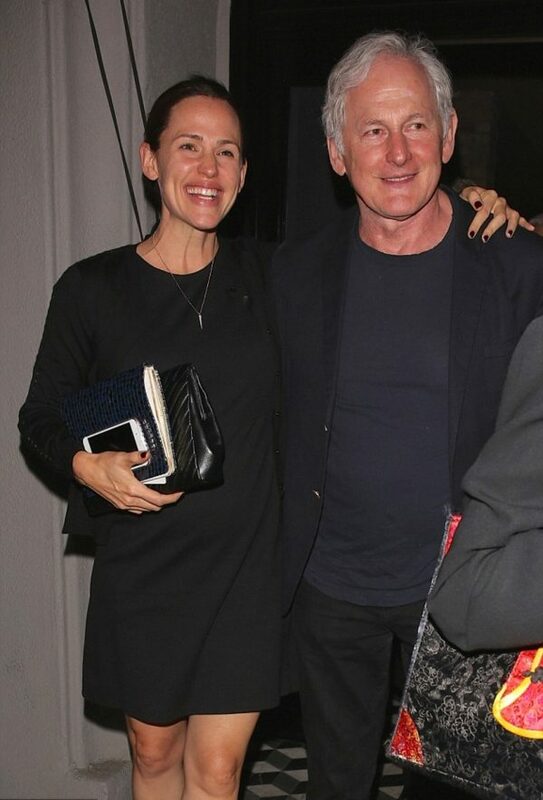 The two are sure to talk once every few days, and Garber is supportive of Garner in her post-Alias life, saying “Her children are great…and she’s extraordinary.” Well said, Victor. Did your jaw just drop over this one? We know, we were surprised we didn’t know about this celebrity godfather already either. 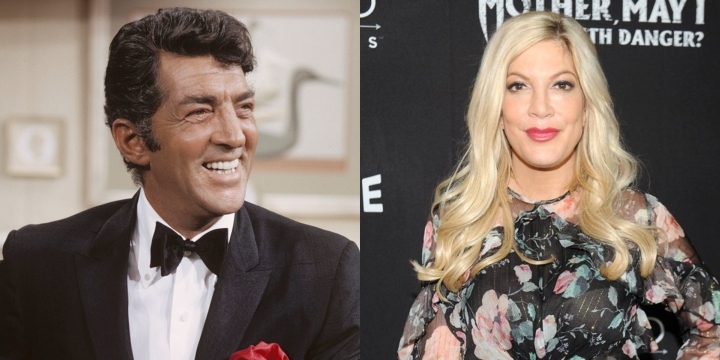 Doesn’t make it any less true though, Dean Martin was indeed Tori Spelling’s godfather, and to hear her tell it, the famed crooner, or “Uncle Bean” as she called him, was the world’s best godfather. According to Spelling, the daughter of famed television producer Aaron Spelling, “Uncle Bean” never missed her birthday. And he brought the same gift with him every year — a money tree. No, not the bonsai variety money tree, a literal money tree. Dean Martin gifted Tori a tree with rolled up $20 bills in place of leaves. We wish Dean Martin had been our “Uncle Bean” too. When your parents are model Sadie Frost and actor Jude Law, being photogenic is literally in daughter Iris Law’s genetics. And as if that wasn’t enough, she can call on her supermodel godmother Kate Moss for tips now that she’s following in her footsteps down the fashion runway. Does ‘The Umbrella Academy’ Season Finale Leave The Hargreeve Family Stuck In A Time Warp?